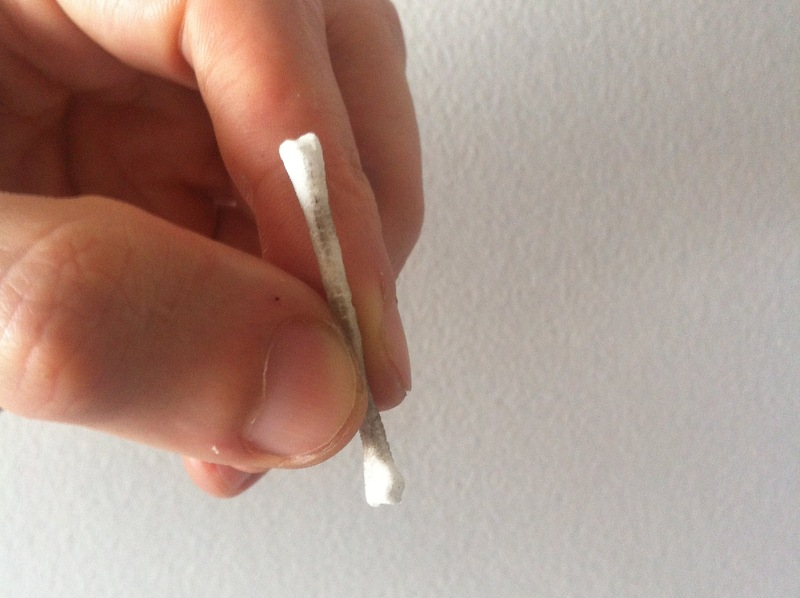 It was challenging to make such small bones. 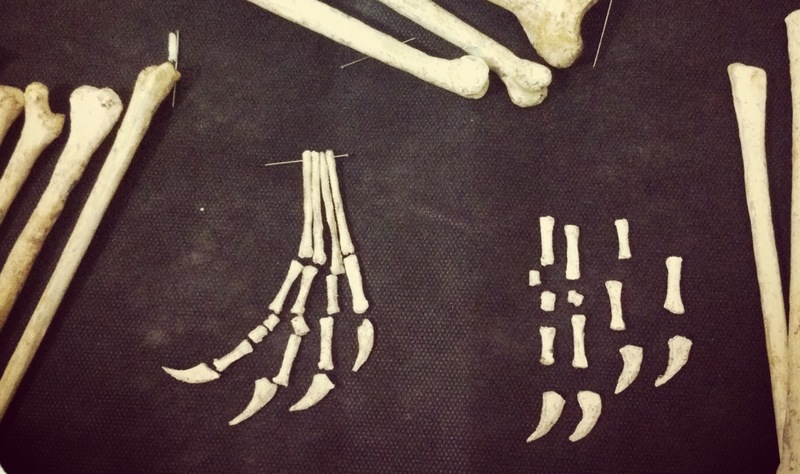 The metacarpals were the thinnest ones and the phalanges of the feet the smallest. I obviously didn’t make them hollow since they are thinner than my 2mm thick sheet of foam, but I did try to. 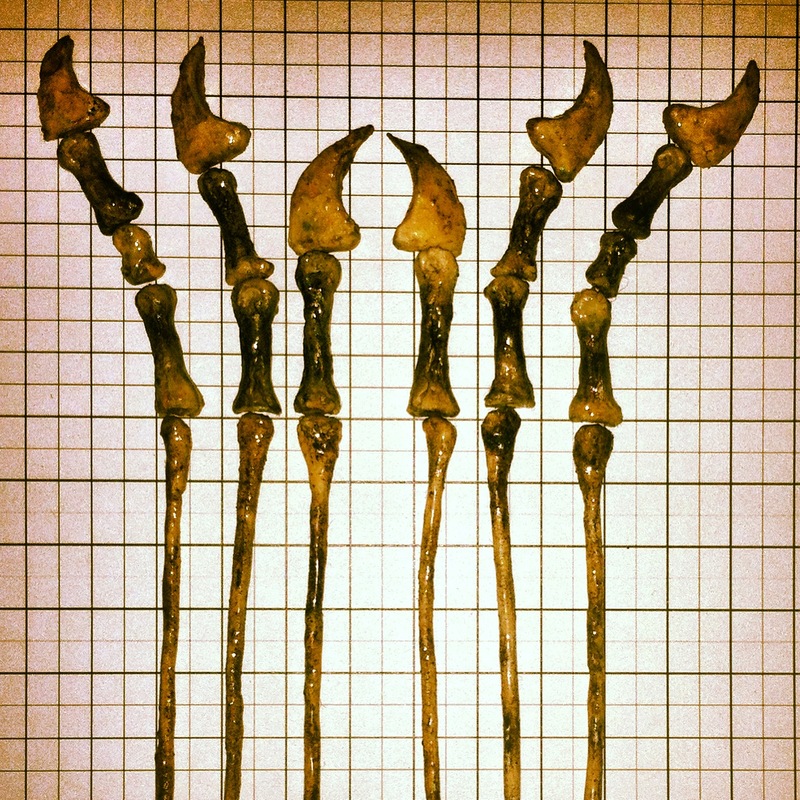 I made hollow fingers, but later reduced their width by pressing and by using fire. That made them stronger (although the result was a bit thicker than I expected). Since they are small and very fragile, I can’t pin them together (I would need some micropins for that), so I already covered them with epoxi resin. Here are the pictures. 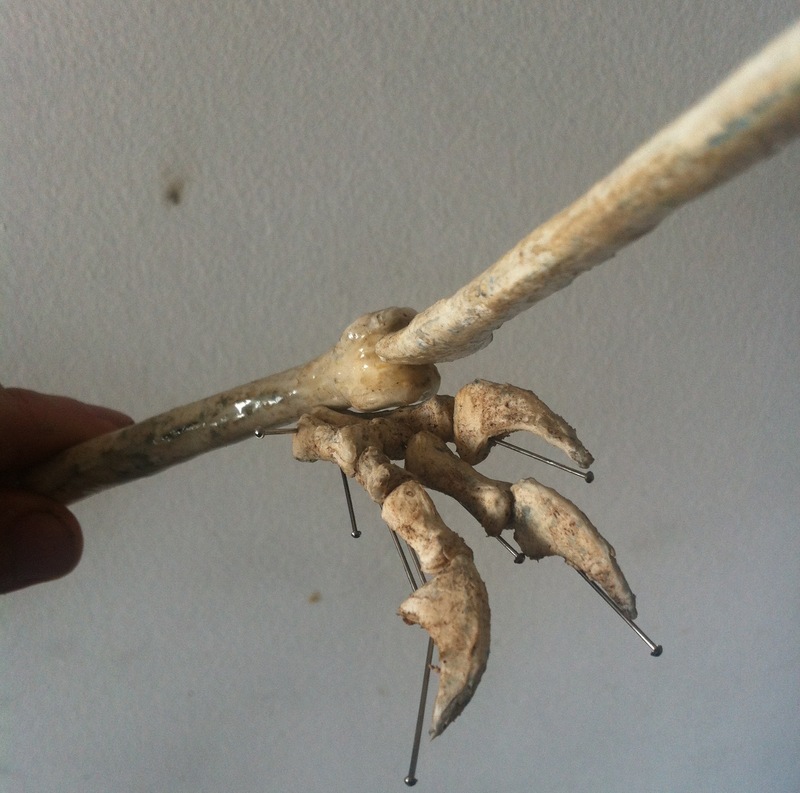 This is a metatarsi from one of the feet, before treating with fire and resin. Here I try to fit the bones in place to make adjustments. 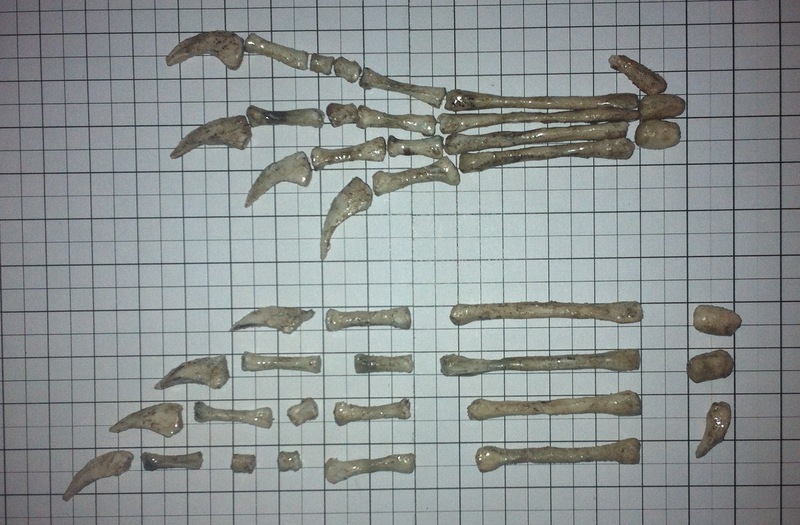 The images from SMNK PAL 1137 are very bad but I used it to get the proportions of the metatarsi and the first toe phalanx and toenail. 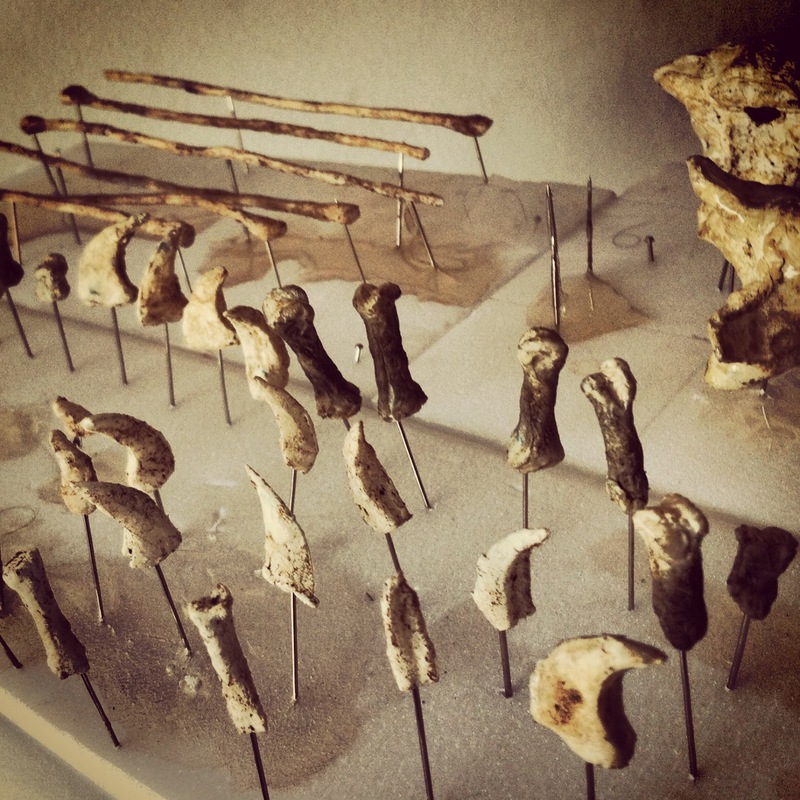 I initially then used as sources individual photos of Tapejara foot bones, but they are usually in unprepared blocks and not always entirely visible, and sometimes damaged. So my measurements didn’t match. I also looked at several well-preserved photos of different species (like SMNK PAL 3830) but then adapted a generic layout from Wellnhofer’s handbook for Pteranodon, scaled for Tapejara. It seems that the smalled phalanges are a bit smaller in Tapejara, and I tried to make them a bit smaller. 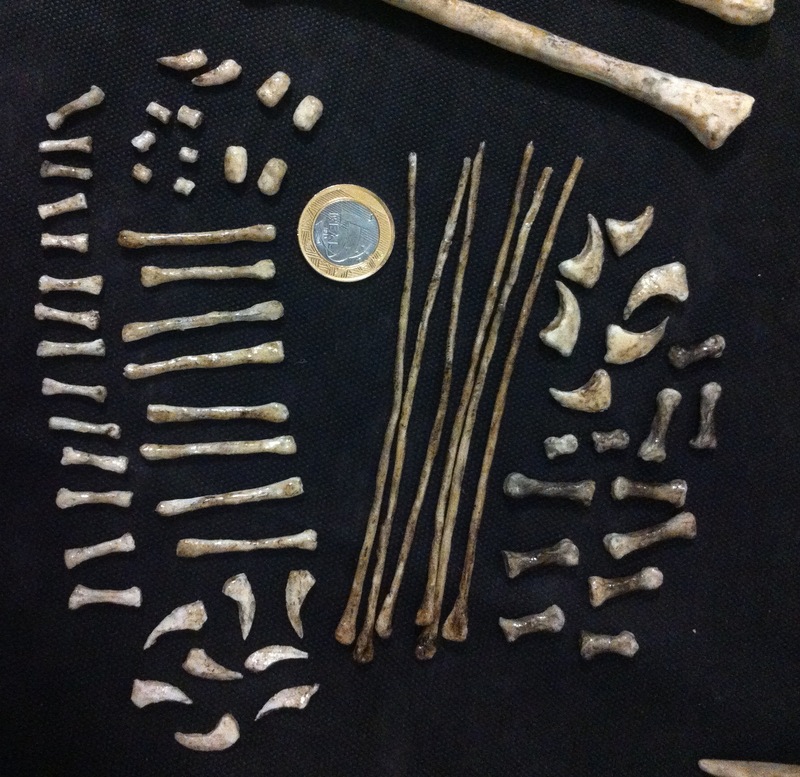 Here are the bones of the feet after attempting an assembly. 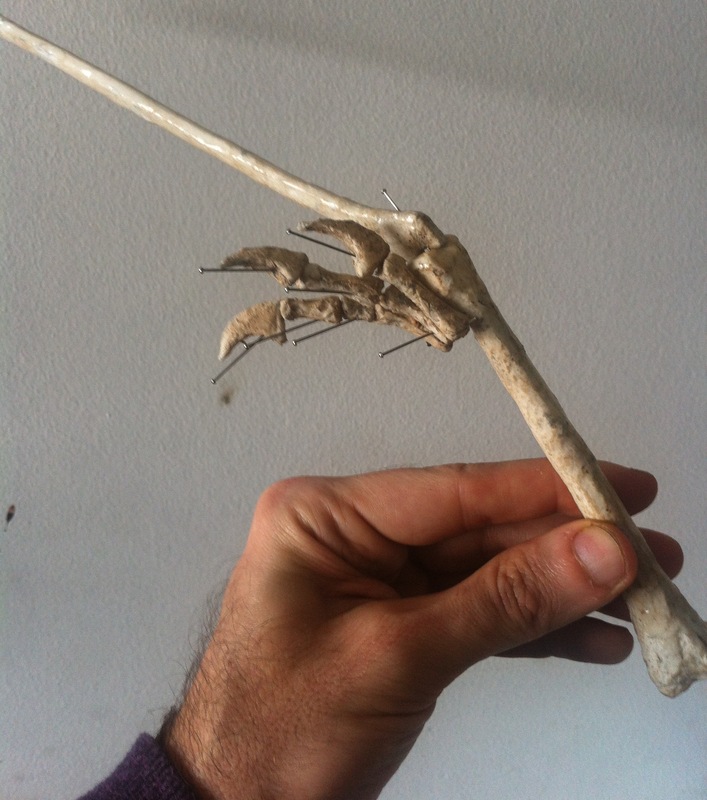 And these are the hand fingers (I made the phalanges hollow). 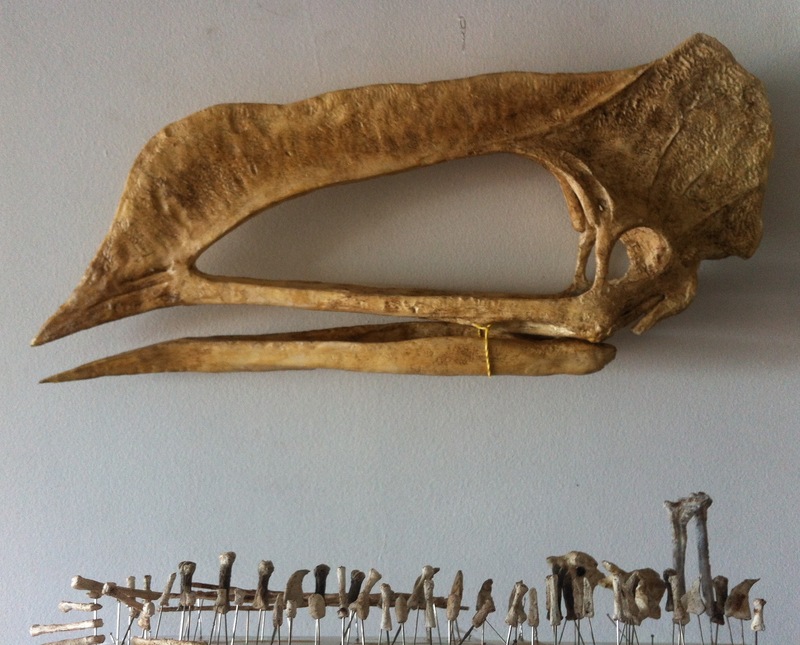 I pinned the fingers to the wing metacarpal to try it out. 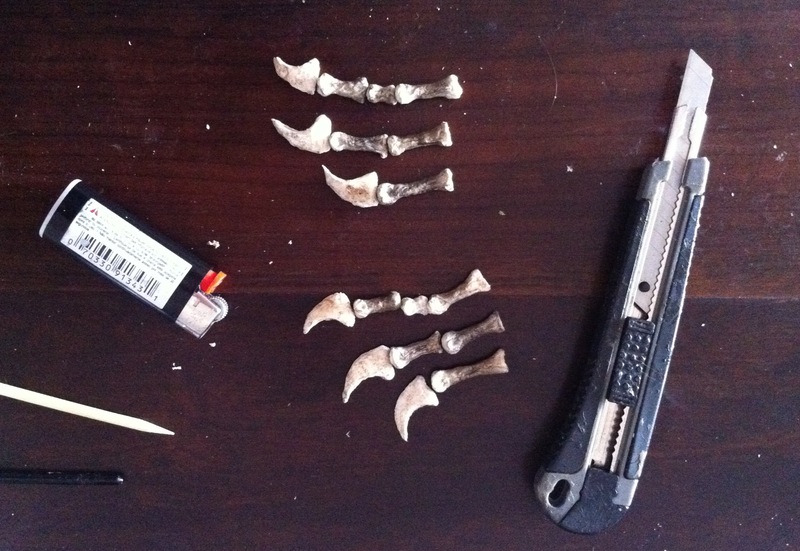 Then I pinned all these little bones on a surface to apply the epoxi resin. I feel like leaving it this way 🙂 A Tapejara bone graveyard under an unknown Azhdarchoid skull. Here are all the shiny parts after the resin dried. 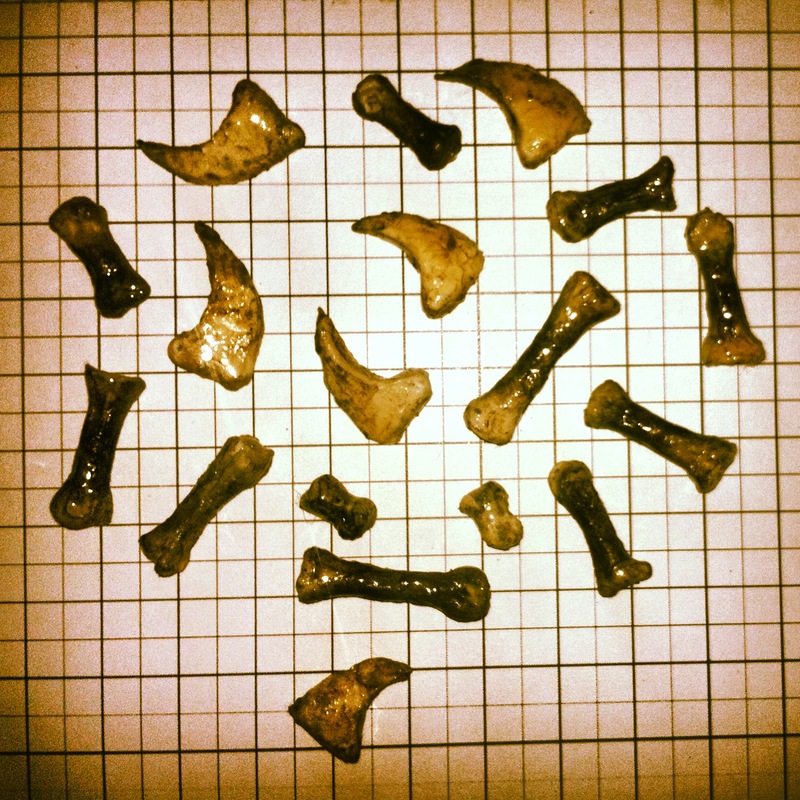 These are the toe bones. Each square measures 5mm (remember this Tapejara was scaled up 25%). And the bones in place (I will make more adjustments when I connect the bones together with silicone rubber). Get these rocks and assemble a pair of hands?